Volunteering with SETF helps us to fulfill our mission to preserve, protect, and restore the natural resources in the Southeast Side of Chicago, the Calumet industrial Corridor and the Lake Michigan Watershed for an enhanced quality of life. At times we need help calling public officials about legislation or other efforts that may impact the region. We always need volunteers before and after our events. SETF is of deeply involved in the waterways that flow into Lake Michigan. At times SETF gets involved in monitoring and restoring our natural area. SETF success is only due to the involvement of its members and donors. SETF can always use help with several mailings each year.  To become a SETF Volunteer, fill out a volunteer form below about your interests and availability. Upon completion, you will be contacted when upcoming volunteer opportunities become available.